Freeze-dried strawberries may be an alternative to drugs for the prevention of esophageal cancer, according to research presented at the AACR 102nd Annual Meeting 2011. 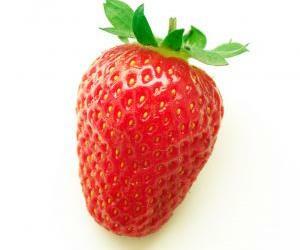 "We concluded from this study that six months of eating strawberries is safe and easy to consume. "In addition, our preliminary data suggests that strawberries can decrease histological grade of precancerous lesions and reduce cancer-related molecular events,"said lead researcher Tong Chen, M.D., Ph.D., assistant professor, division of medical oncology, department of internal medicine at The Ohio State University. She is also a member of the Molecular Carcinogenesis and Chemoprevention Program in The Ohio State University Comprehensive Cancer Center. Esophageal cancer is the third most common gastrointestinal cancer and the sixth most frequent cause of cancer death in the world, she said. Chen and her team are studying esophageal squamous cell carcinoma (SCC) which makes up 95 percent of cases of esophageal cancer worldwide. China, where this study took place, has the highest incidence of esophageal SCC. In a previous study, Chen and colleagues found that freeze-dried strawberries significantly inhibited tumor development in the esophagus of rats. Based on these results, they embarked on a Phase Ib trial that included participants with esophageal precancerous lesions who were at high risk for esophageal cancer. Participants consumed 60 grams of freeze-dried strawberries daily for six months and completed a dietary diary chronicling their strawberry consumption. 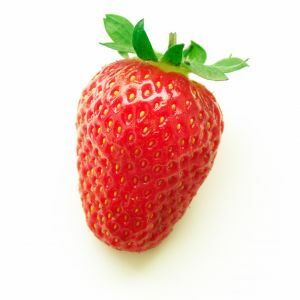 Using freeze-dried strawberries was important because by removing the water from the berries, they concentrated the preventive substances by nearly 10-fold, Chen said. "Our study is important because it shows that strawberries may slow the progression of precancerous lesion in the esophagus. Strawberries may be an alternative or work together with other chemopreventive drugs for the prevention of esophageal cancer. But, we will need to test this in randomized placebo-controlled trials in the future," said Chen.